Royal Dutch Shell (RDSa.L) has agreed to pay $15.5 million to settle several lawsuits related to the executions of protesters in Nigeria in the 1990s, lawyers for both sides said on Monday. The settlement came as the more than decade-long dispute was due to go to trial in U.S. District Court in Manhattan, said Paul Hoffman, a lawyer for the victims' families who had brought the cases along with the New York-based Center for Constitutional Rights. 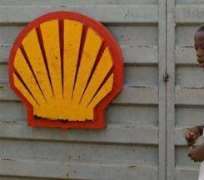 The lawsuit accused Shell of human rights abuses in the Niger Delta region, including violations connected with the 1995 hangings of author and environmental activist Ken Saro-Wiwa and eight other protesters by Nigeria's then-military government. "We litigated with Shell for 13 years and, at the end of the day, the plaintiffs are going to be compensated for the human rights violations they suffered," Hoffman said. "Had we tried the case and won, the plaintiffs were still looking at years of appeals," he said. Hoffman said that $5 million would go into a trust for the benefit of the Ogoni people. The rest of the money would go to lawyers' fees and compensation for the families. "Shell has always maintained the allegations were false," said Malcolm Brinded, Shell's executive director for exploration and production. "This gesture also acknowledges that, even though Shell had no part in the violence that took place, the plaintiffs and others have suffered," Brinded said. The lawsuits sought unspecified damages from Shell for backing the jailing, torturing and killing of the protesters as well as for polluting the region's air and water. Nigeria is the world's eighth biggest oil exporter. The protesters, who campaigned nonviolently for a fairer share of Nigeria's oil wealth for the poor and against environmental damage by the industry, had been convicted of murder in a trial that human rights groups labeled a sham. Protests led by Saro-Wiwa forced Shell in 1993 to abandon its oil fields in Ogoniland, a tiny part of the Niger Delta whose people Saro-Wiwa represented. Reached by phone in London, Wiwa's son, Ken Saro-Wiwa Jr., 40, who was a plaintiff in the case, said the settlement was a vindication for his family. "We felt we had already got the victory," he said of the settlement. "We got the precedent that a corporation can be used for human rights violations in a U.S. court." A multinational company has never been found liable of human rights abuses by a U.S. jury, but a few have settled out of court. The Shell case would have been the third to go to trial and the second involving a major oil company. In December, a federal jury in San Francisco cleared Chevron Corp (CVX.N) of liability sought by Nigerians for a violent clash on an oil platform off their country's coast more than a decade ago.